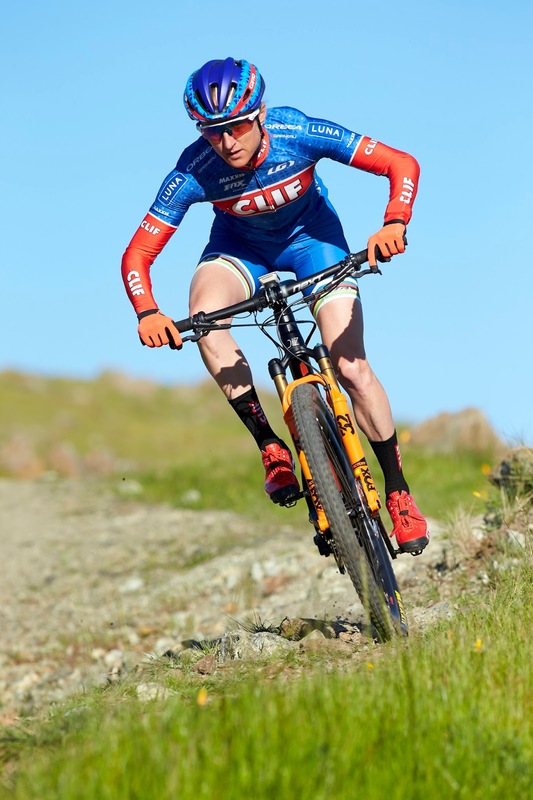 Catharine Pendrel is a Pro xc mtb racer for Clif Bar, Canadian Olympian/medalist, and 2x world champion from Kamloops, BC. Originally she started off as a horseback rider, but at the age of 16 she switched to biking and is known as a single track & travel lover. Tell us what inspired your #bikelife and how did it affect your life over the years? I started riding when I was 16. My brother was racing and thought I should try it out and I just loved the vibe at races. Everyone seemed so fun and laid back. It was a community I wanted to get to know. Can you take us back to your first few mountain bike rides? What did you learn and what about it made you want to continue/improve? It was tough! Honestly, it was probably my brother's encouragement that kept me going. He made it fun and social, but I was pretty horrible. No fitness or technical skills and a bike that hardly worked! Do you have suggestions for those who are nervous to give mountain biking a shot? Look into ride groups that feel inviting. The people are a huge part of what makes mtn biking awesome and make learning something new fun. I love racing World Cups because I thrive on being pushed to find my best, but have recently found a love for mtn bike stage races like Single track 6, Moab rocks and BC Bike race. They are tough but the camaraderie is awesome. Do you have any suggestions for folks who are nervous to attend their first event? Dive in! Feeling nervous is normal, but you'll never know if you love it unless you try. Just enter to have fun and check it out. Why would you love to see more women participate in mountain bike events (or other cycling events)? Because it's awesome! The more women out there showing what is possible, the more other women can gain confidence that they're also capable of doing it. It's a pretty sweet job that's for sure. Mtn biking is so much a lifestyle for me. My husband also rides so it's a passion we share. I feel lucky that my job is to be was fit as possible and challenge myself to meet my goals. What has been the most challenging aspect of your racing career? How did you manage/deal? Failure. Being an athlete can be 24/7. That's a lot of energy to invest in something when it doesn't go well. It's tough when you do not perform to your expectations, but those races are always the ones I learn the most from so if you can keep results in perspective you can use those bad results to have amazing rides down the road. Everything! Be progressive, start small and build confidence and skill before progressing to something really tough that could discourage or scare you. There are a ton of great YouTube videos out there to work on skills like the GMBN series. Yes! I am constantly working on my technical skills, especially the fundamentals like cornering, brake modulation, eyes through corners, weight transfer. I didn't start jumping until I was in my 30's so this is always something I am looking to improve. I broke my collarbone 8 weeks before the World Championships in 2013. Coming back from an injury in mtb is two part, the physical healing, but also the confidence building. I have never been so scared to ride features on a course as that year but luckily the day before the race I finally managed to ride all the scary sections....even after watching my competitor crash and break her collarbone in training in front of me! That race was more about overcoming fear and trusting my skills than having a stellar result. It's dynamic, always changing and such a nice sensation when you find flow in the singletrack. The Clif team is sponsored by Orbea, a cooperative based in Spain. I race a dual suspension (Orbea Oiz) the most now. I find I both climb and descend better with the increased traction dual suspensions offer and it's fun! My suspension has three setting, fully open, partly open and closed so that my bike can be as stiff or cushy as I need for the terrain. Mtn biking can be intimidating. A lot of images in media are of big jumps and gnarly single track that look scary, but the cool thing about mtn biking is that it is a varied as your area is. It can be smooth and fast, rocky, rooty. Every area offers a different challenge and there are a lot of different groups out there like the Dirt Chix in my town Kamloops that was created to offer women an inviting group to come learn how to ride with. I love over hearing 50+ year old women at the gym talking about getting out for a ride on the weekend! So cool! Mtn biking is a sport for life. I think creating social ride opportunities are key. If you feel you have a welcoming community to learn in it makes all the difference. Seeing how excited women are to improve their skills and fitness gives me more energy. If there is something you love you want to share that passion with others. I got to know my husband because I bonked on my first university group ride and he bought me a chocolate bar!